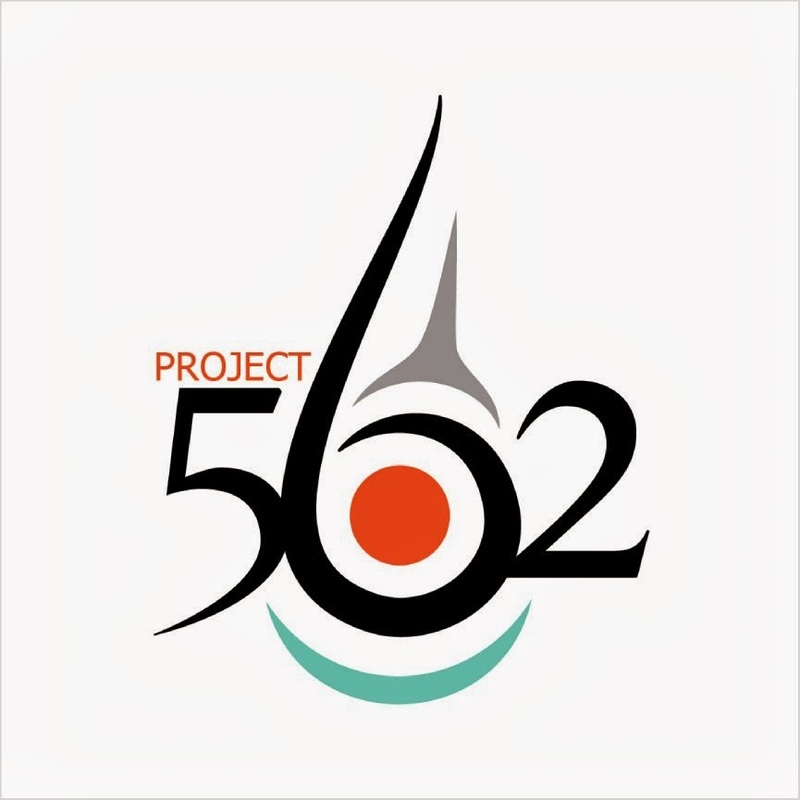 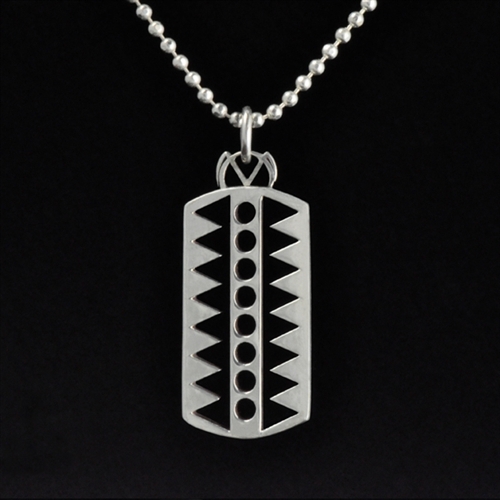 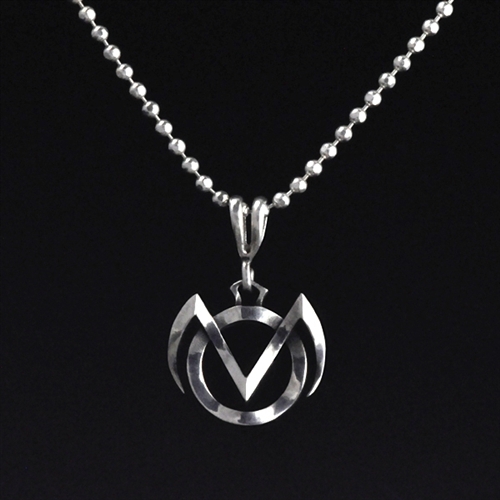 Cochiti Pueblo artist and fashion designer Virgil Ortiz teamed up with jewelry designer Kenneth Johnson (Muscogee/Seminole) to create the stylish and modern RAIN Jewelry Collection. 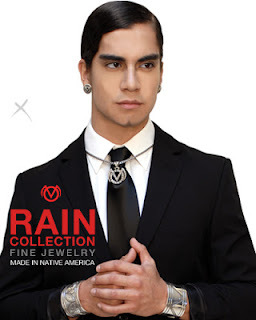 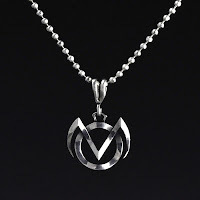 The RAIN Collection is a bold unisex jewelry line of necklaces, earrings and cuffs that feature symbols from the natural elements that Ortiz uses to create his pottery. 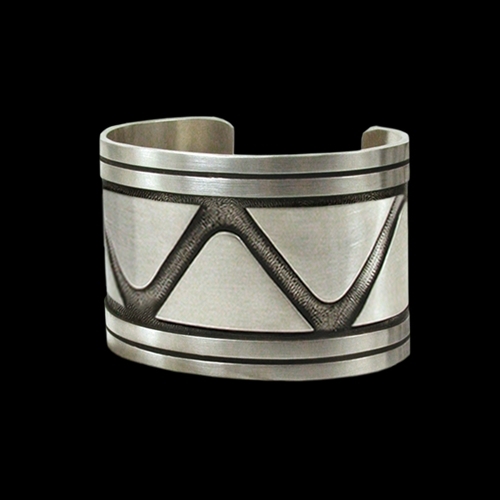 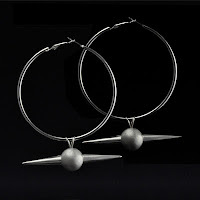 These designs can be seen on the VO signature sterling silver cuffs, which feature symbols of water, sun and the wild spinach plant that is required to prepare the black paint Ortiz uses to create the geometric designs on his clay works - and are actually reflected in the geometric designs themselves. 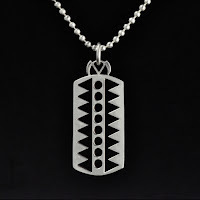 Johnson’s work spans over two decades and is recognized for bold combinations of stamp work and engraving, often incorporating coins and bead set gemstones. 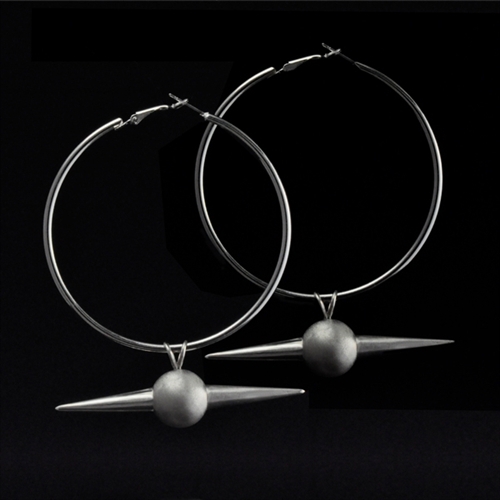 Johnson is synonymous with distinctive fine jewelry designs and Ortiz is renowned for his captivating, provocative and edgy fashion style. The RAIN COLLECTION is available at VirgilOrtiz.com. 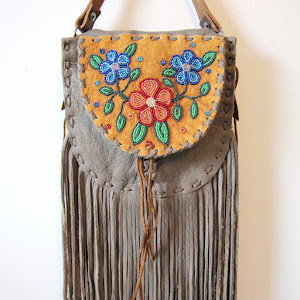 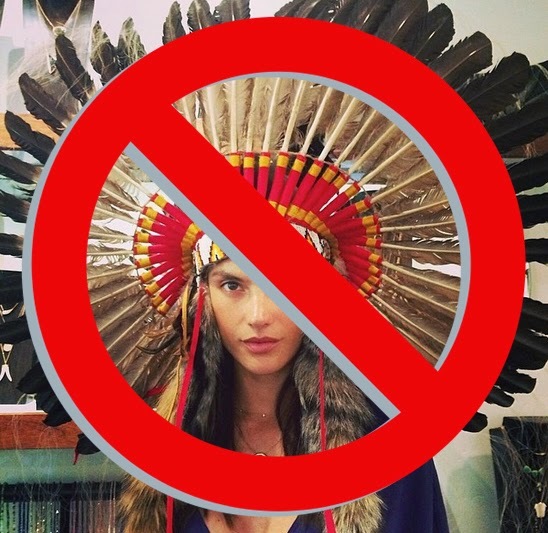 Retail prices range from $95 - $900 and Made in Native America®.